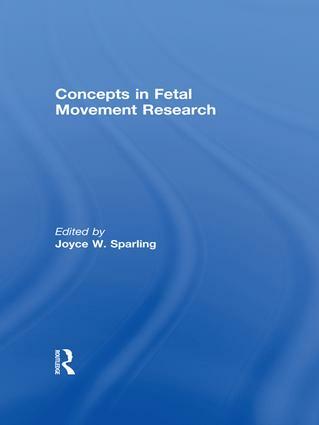 Here is an informative book that provides theoretical perspectives on the study of fetal movement and introduces observational assessments that can be used in fetal research. It provides research tools that can be used to delineate early patterns of movement, preparing therapists for neonatal intervention and leading to a better understanding of functional activity of the fetus. two different research tools for assessing fetal movement. Researchers, clinicians, obstetricians, radiologists, sonographers, and neonatologists will all find this book full of helpful information. Concepts in Fetal Movement Research is an invaluable guide for both their research and their day-to-day work with patients.